Brendan Power is a virtuoso harmonica player and a tireless innovator in building new tools for harmonica players, including new instruments and add-ons that increase the usefulness of traditional harmonicas…. Brendan Power is a virtuoso harmonica player and a tireless innovator in building new tools for harmonica players, including new instruments and add-ons that increase the usefulness of traditional harmonicas. One of his latest innovations is the Lucky 13, a harmonica that adds a full lower octave to the standard Richter diatonic layout. The layout of the low octave is the same as that of a standard diatonic, only an octave lower. 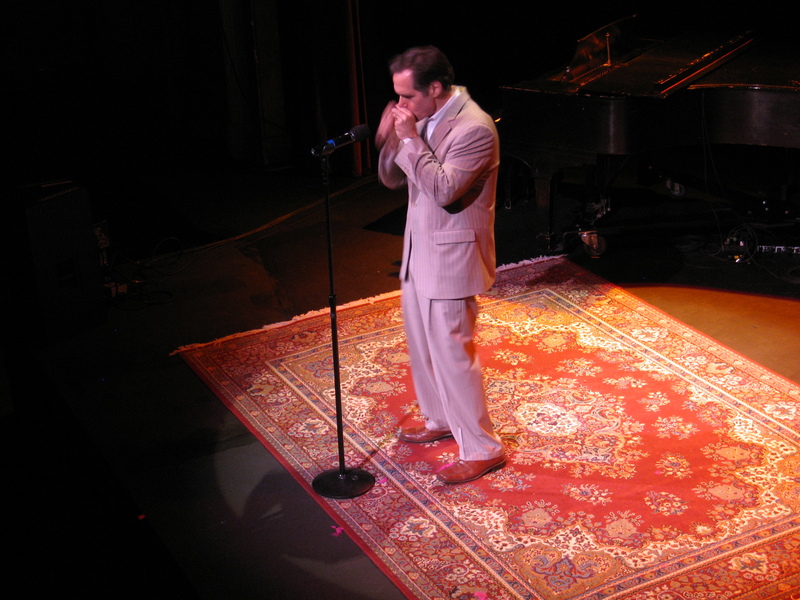 The resulting harmonica has a 4-octave range with a powerful low end and all the flexibility (and traditional sonority) of a standard diatonic in the top 3 octaves. If this layout sounds familiar, you must have encountered an SBS-tuned Hohner Model 365 at some point. The Lucky 13’s reeds are laid out exactly like that instrument (until you get to the 14th hole on the 365, which the Lucky 13 doesn’t have), and that’s a good thing–the SBS-tuned 365 had a great range and an easy-to-learn reed layout. The even better thing is that unlike the Hohner Model 365, the Lucky 13 is a well-made and set-up instrument that plays responsively from top to bottom of its range right out of the box. The reed plates are emphatically screwed to the comb in a dozen places, and the Lucky 13 feels nice and tight, with none of the hissiness of air escaping through contact gaps between reed plates and comb that’s endemic to the Hohner 365. It has at least as much dynamic range as most diatonics, with a wailing sound when played hard that’s very gratifying. It overblows easily in the middle register where a standard harp would, another sign of airtight construction and solid setup. It’s compact and fits easily in the hand, with a feel similar to that of a standard 10-hole diatonic; I found that I could wrap my hands around it without a lot of either end of the harp hanging out. Traditional hand effects and articulations like wahs and vibratos work well with this instrument. Its extended range and blues harp playing feel, coupled with a layout that’s enough like a standard diatonic to make the learning curve pretty easy for intermediate level and up harmonica players, make it a solid choice for blues harp players who want to bring some new sounds to their game. 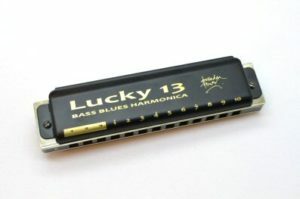 Players who like to overblow will find the Lucky 13 to be as responsive to overblowing as any other mid-priced diatonic harmonica, with a wider range than any 10-hole. The Lucky 13 also comes in all 12 major keys, making it a potential go-to instrument for diatonic players in general. As you can see from the photo, the black-cover version of the Lucky 13 has the first three holes highlighted in gold on the top plate. The next 10 holes are numbered 1-10, as they would be on a standard diatonic, with the same reed layout for those holes as a standard 10-hole diatonic. (On the chrome-cover version, the first three holes are highlighted in gray.) That means that players who use tab or other hole-oriented notation systems instead of, or in addition to, standard notation to navigate the diatonic harp don’t have to make adjustments to their tabs to use them with the Lucky 13. I’ve only had the Lucky 13 for a few days, so I can’t comment on its durability, except to note that fit and finish are good, and a few hours of full-on harp playing don’t seem to have damaged it. I found the Lucky 13 to be an inspiring instrument to play. I recorded the clips below into my iPhone’s voice recorder. (In other words, don’t expect the highest sound quality available within the state of the recording art.) I played a Lucky 13 in D into a Fireball V mic into a Digitech RP500 running my patch set for Digitech RP. 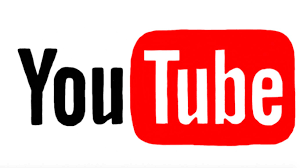 Both clips include improvised leads over looped accompaniment. In the first clip there are two harmonica parts, one played with a patch that models a Gibson GA40 amp and cab, played in the Lucky 13’s second octave and up, the other with the same sound plus vibrato, played in the lowest octave. It’s pretty bluesy. In the second clip, I started with the same vibrato harp part and added somewhere around four more effected parts, with the lead harp played on a Digitech BlackBass amp model with an FX25 autowah effect. It’s still got plenty of blues in it, but the 21st century is in the room too. Both clips make clear how nice it is to have the low end on that Lucky 13 for rhythm work. This harp is a looper’s delight. The Lucky 13 offers very competitive performance for the price. The instrument comes from Rockin’ Ron’s with a choice of black cover plates ($59 shipped, with prices per harp declining when you buy more than one) or chrome ($64 shipped). I went for the black cover plates; I like black, and I like having $5 in my pocket. $59 for a high-quality harmonica is thoroughly competitive with prices for the Suzuki Manji, Seydel Session Steel, and Hohner Marine Band Deluxe, and none of those instruments offers a 4-octave range. UPDATE: I took one of my two Lucky 13s in D and tuned up the draw 5 reed a half step–in other words, I gave it a Country tuning. It sounds great on this harp–whatever temperament they put on this thing, the chords sound beautiful. Now that I’ve heard one of these harps with a Country tuning, I’m more eager than ever to hear it with Dorian and Natural Minor tunings. While I had the cover plates off, I noticed that the gaps between reeds and plate in the bottom octave were pretty high. I reduced those gaps, and I think the harp sounds even less breathy than before in the bottom octave. It seems to me that the factory tried to optimize the low end for high volume–hence the wide reed gaps–and the middle register and up for overblowing, hence closer gaps there. Anyway, Brendan generally recommends that players set the gaps on their reeds to suit their own style, and I think that’s good advice. If you don’t know how to set reed gaps on a harmonica, I’m sure you can find a video on Youtube (look for Rupert Oysler and/or Richard Sleigh) to teach you how. I also noted that the reeds in this harp show few signs of file marks–in other words, the reeds didn’t require, and didn’t get, a lot of tuning with a file after assembly. That’s a good thing in particular because reeds that are heavily worked to get them in tune are weakened in the process, and need more-frequent replacement. It’s one more indicator of a quality instrument. UPDATE: I took all my Lucky 13s–A, Bb, C, D, D Country, and Eb–and set the reed gaps to where I like them. I found that the lower-pitched harps in general were given much larger gaps at the factory for the reeds in holes 1-4. The C, Eb, and D harps were generally closer to where I would have set them, meaning smaller gaps in general. I don’t think I touched any reed gaps above hole 6 on any of the harps. The top two octaves on every one of these harps speaks loudly and overblows easily, and when it’s working that well I just leave it alone. UPDATE: Now that I have half a dozen of these harps, I decided it was worth getting a case that holds them. So I bought a case designed to hold 12 Lucky 13s from Rockin Ron’s for about $40. A case that holds five Lucky 13s is about $26, but I’ve already got more Lucky 13s than that. I think it’s a good idea to protect harps in a case, especially when you know you’re going to use them. Every Lucky 13 comes with a zip-up case that’s nice, if a little bulky, but it’s not easy to carry more than one or two of those around at a time, and you don’t want to have to zip or unzip the case every time you pick up a different harp. So a case for multiple harps makes life and performance a lot easier. Even without a strap, a Lucky 13 case is a useful accessory if you plan to own more than one or two Lucky 13s. Your Country tuned Lucky 13 sounds interesting. I was thinking of a Melody Maker version with the bottom chords left intact so you have the complete major scale plus the I and IV chords handy. The IV chord in the middle of the MM doesn’t sound right to me, too high.